There really is no comparison between the 2016 Mets and their 1986 predecessors. Terry Collins admitted as much Saturday, before the latter group was reunited and honored at Citi Field. Their rosters and styles are different. 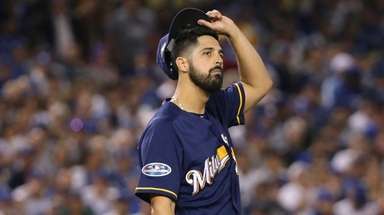 The question also remains whether the reigning National League champions have enough grit to win the team’s first World Series trophy in 30 years. “Maybe they need to get in some fights,” Darryl Strawberry said. 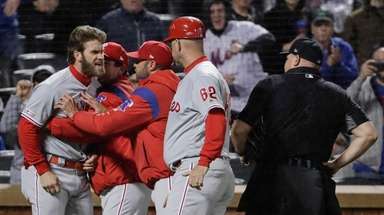 His 1986 team was no stranger to dust-ups, and it is very easy to imagine how his team would have handled a situation like the one the current team faced Saturday night as Noah Syndergaard was ejected for throwing behind Chase Utley. 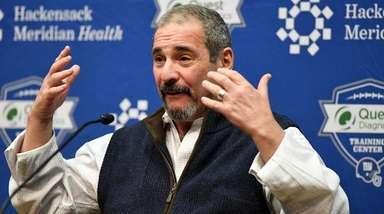 It is a good bet that Strawberry’s team would have had some answer, likely physical, to Utley having broken Ruben Tejada’s leg in the 2015 playoffs — especially after he hit two home runs Saturday night. Granted, this is a different era and on-field brawls can result in lengthy suspensions. On then-and-now comparisons, Dwight Gooden was asked which Mets team had a better pitching rotation. He did not hesitate to answer. “Eighty-six,” he said. 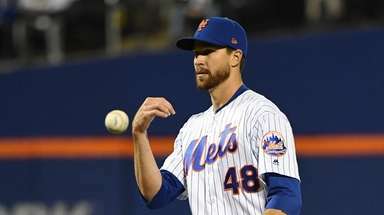 “Are you kidding me?” But he did add that the current Mets staff has big potential. If Ray Knight felt as if he were walking on air as he made his way on the red carpet during the ceremony Saturday night — his first official Mets welcome after he was named 1986 World Series Most Valuable Player — it was not the first time. 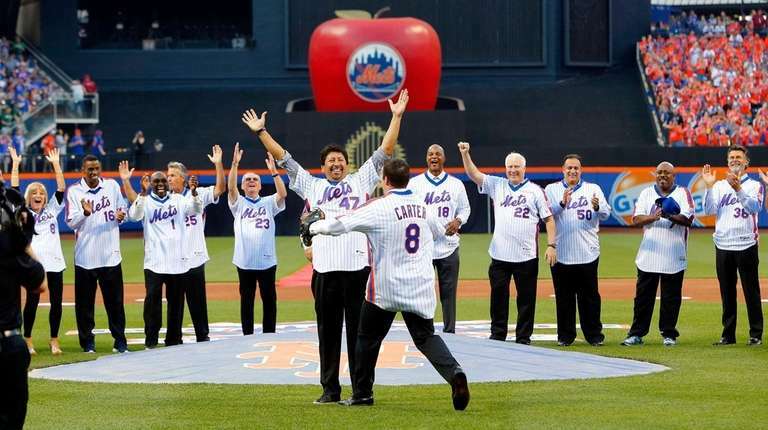 SEE PHOTOS The '86 Mets: Where are they now? The effects of the 1986 World Series went well beyond the final out and the victory parade, both Keith Hernandez and Ron Darling said during the SNY telecast of the Mets game Friday night. 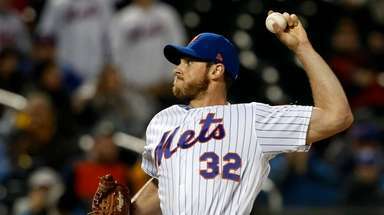 Darling revealed that years later, a man who identified himself as a big-time gambler told him that he bet on the Mets often when Darling was the starting pitcher that year. Darling went 15-6 and the man claims he bought his house with the winnings. Hernandez said that he still is impressed when men approach him and say that they were born in 1986, or soon after, and were named “Keith” in his honor.